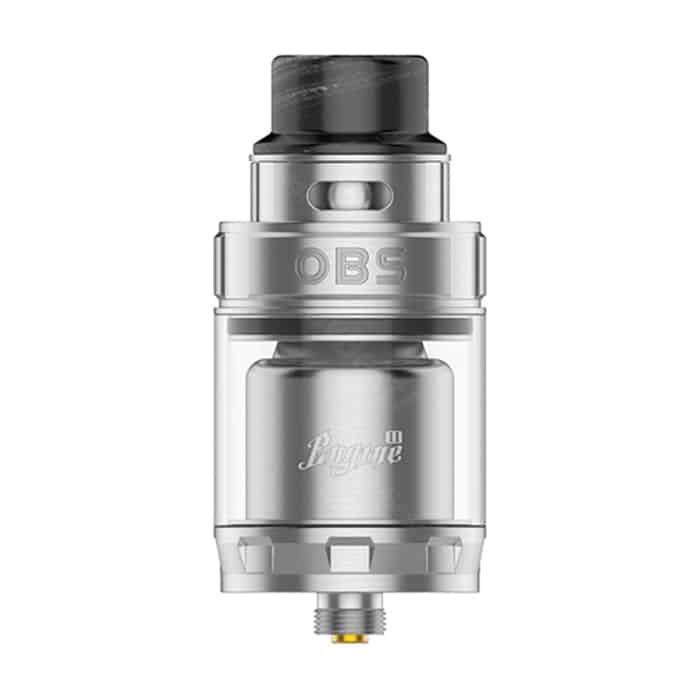 OBS presents the Engine II 24mm RTA with a dual post, dual terminal style build deck, quad adjustable air slots, and a 5ml juice capacity. Each post has two stainless steel side mounted screws with 2mm by 3mm of space for each lead. The cotton is then wicked through four juice ports at the bottom of the build deck. The Engine II has 5ml juice capacity and can be filled through a fill port hidden with a ring above the tank. This tank has four 8mm by 2mm air ports located below the drip tip that can be fully sealed. The Engine II has 510 thread, 304 Stainless stainless steel construction and a 810 resin drip tip.